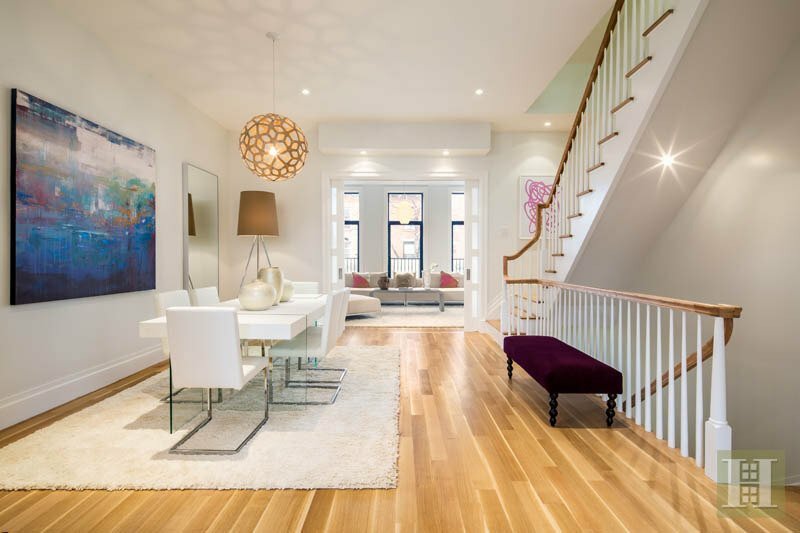 There’s a gorgeous townhouse at 442 Union Street asking $4.25 million. 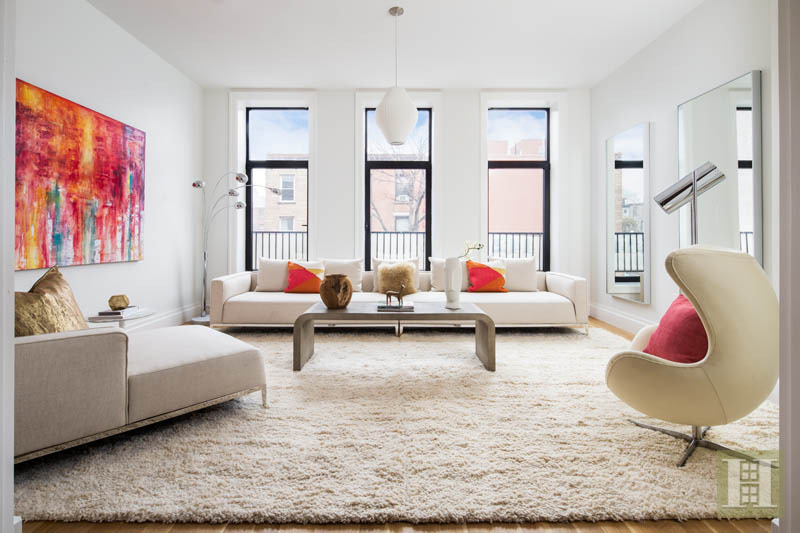 This 4,320-square-foot Carroll Gardens home was masterfully designed by Platt Dana Architects and features three levels, a separate ground-floor apartment, a private garden, a roof terrace, and an elevator. 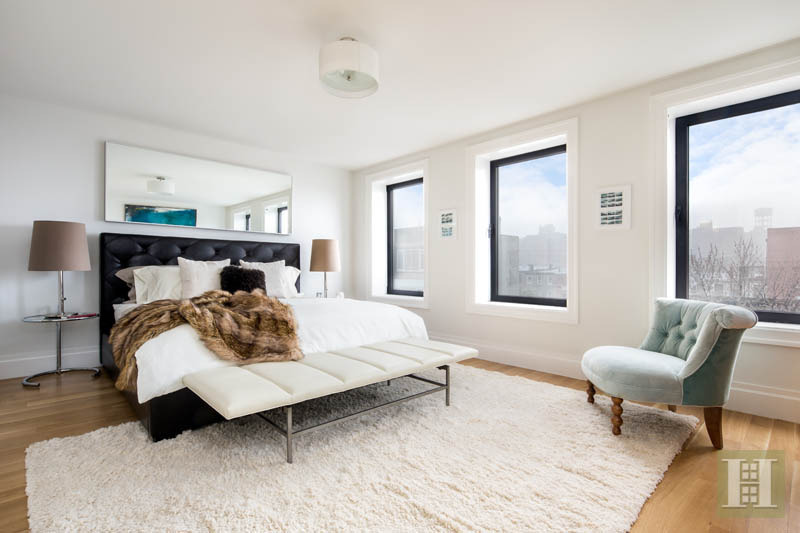 You’ll be blown away by the parlor floor’s 10.5-foot ceilings and four rift-sawn oak floors. The open layout has designated spaces for a living room, dining room, and gourmet chef’s kitchen. This bright and modern kitchen features south-facing wall of windows that open to a deck with steps to the landscaped garden. 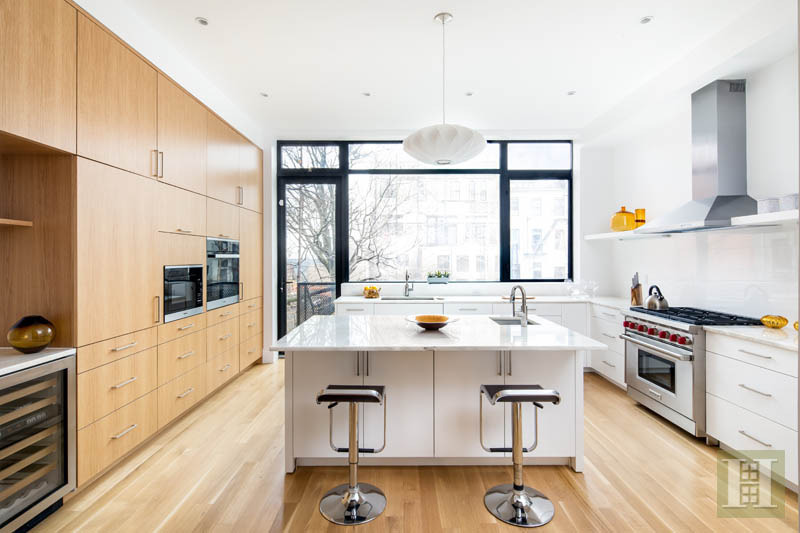 The kitchen also features top-of-the-line appliances, Calacatta gold polished marble countertops, bianca ceramic backsplash, white oak cabinets, and under-counter wine storage. 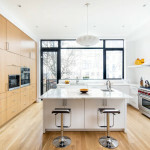 Off the kitchen is the modern dining area with a set of pocket doors that lead you into the sun-drenched living room and its three oversized northern windows. 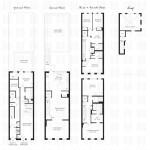 There are three bedrooms and two full bathrooms on the third floor, along with a study that can easily double as a playroom and a laundry room. The fourth-floor master has a walk-in closet with custom shelving and a skylight, as well as a lavish en suite bathroom with polished marble, and heated floors. And for a particularly heavenly experience, there’s a Bain Origami soaking tub with Ann Sacks glass mosaic tile and a skylight so you can bath under the stars… literally. Then on the other side of the floor there’s a double-height lounge illuminated by eight giant windows and boasting a wet bar with a Caesarstone countertop and a wine refrigerator. 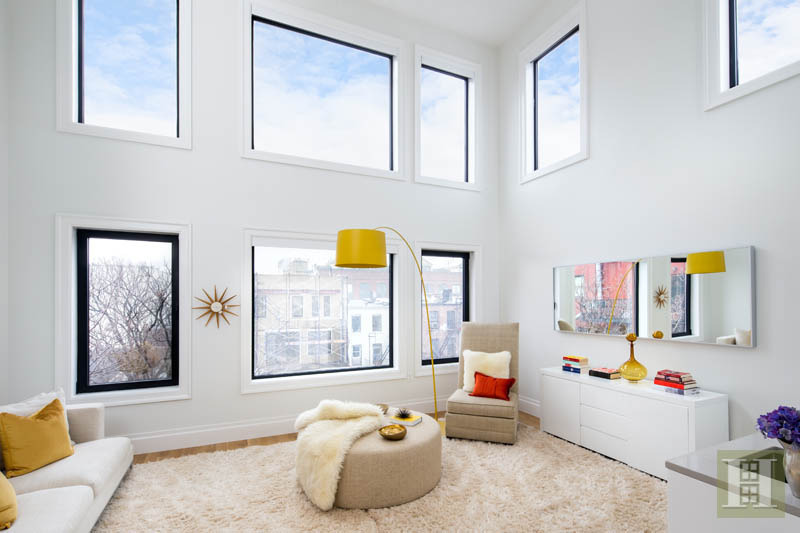 If all of the light this home offers from windows and skylights isn’t enough, soak up some vitamin D on the private roof deck. 442 Union has a video intercom security system, zoned central heating, and the option for a virtual doorman. The meticulously designed pad is ideally located right near popular restaurants, shops, and parks.